PDF Pattern #SS1850-02. 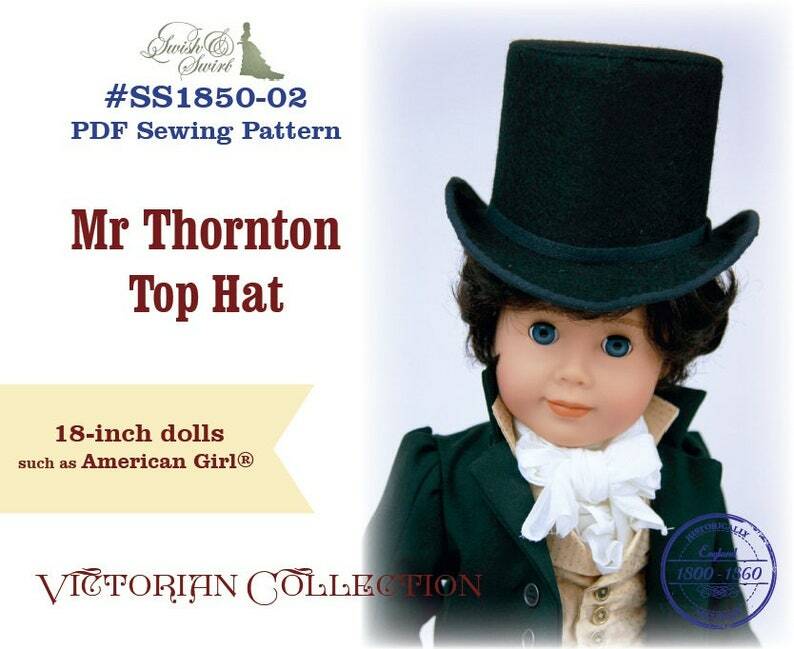 Mr Thornton Top Hat designed to fit standard 18-inch dolls such as American Girl®. Not suitable for knits or woven fabrics.. Your 32 page PDF PATTERN will be available for an instant download once payment is confirmed. Look for the "download" link on your order page. No paper copy will be mailed. PDF Knitting Pattern #SS1940-K03. 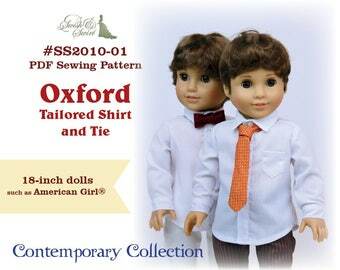 Lucy Cardigan for 18-inch dolls like American Girl®, Florrie, Tonner My Imagination. PDF Knitting Pattern #SS1940-K06. Katie Cardigan for 18-inch dolls like American Girl®, Florrie, Tonner My Imagination.